This client understood that a strong and simple design can often make the largest impact. This template design was a perfect fit for this client. While this actor is young, he has started with a strong foothold in the industry. 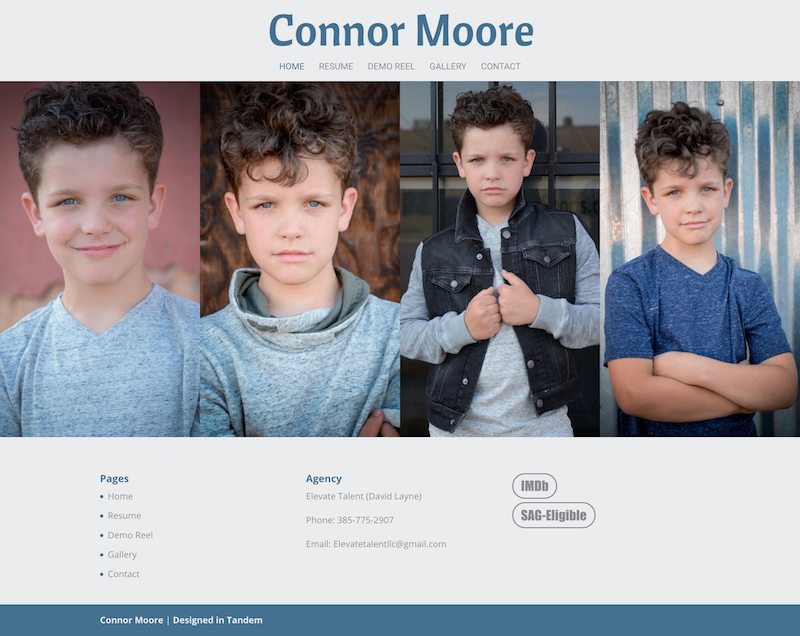 This website design was built to respond perfectly to this boy actor’s current age, as well as his years to come.